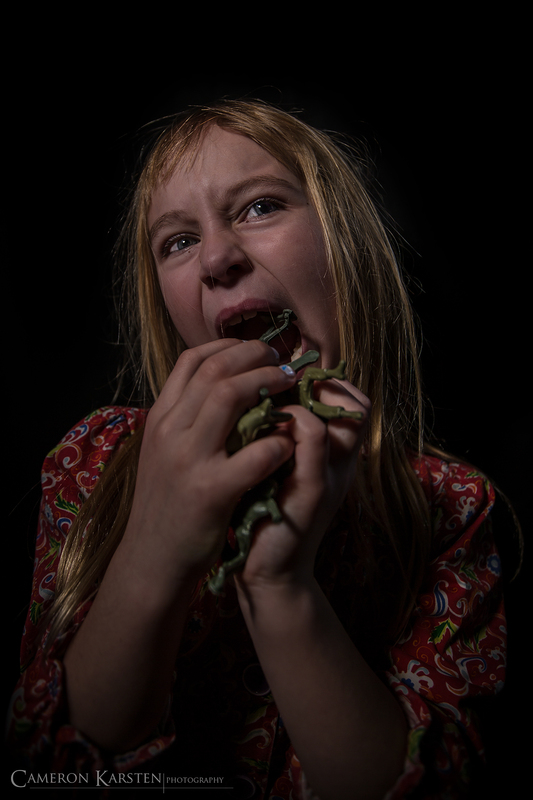 Inspired by Francisco Goya’s 1819-1823 oil painting Saturn Devouring His Son, the above project speaks of humanity’s innate compulsion to send its soldiers into the throes of death. We fight for land. We fight for possession and power. It is our willingness to send man and woman into war; and Athena above, goddess of warfare (and wisdom) unleashes her rage over the very men and women we as a people send into battle. On the other side of the coin, we also fight for freedom, for a voice, for the ability to live our lives as we choose. There are always two sides, our decisions coming from a place we find within ourselves. Shot with three Q-flashes, black back drop, and a 6-stop neutral density filter allowing me to shoot wide open, I brought the subject as close to the wide angle lens as possible to create distortion in her face and hands. 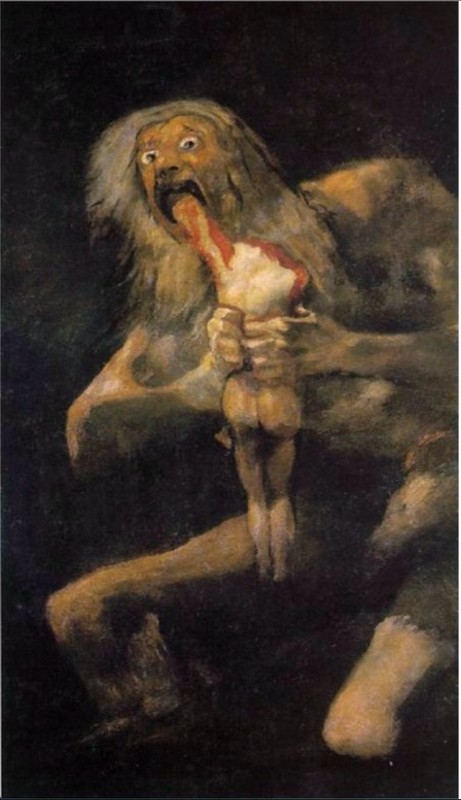 Goya’s image is offered below for reference. 16mm, 1/80 sec at ƒ/2.8, ISO 100, tripod.